This unexpected new planet caused a sensation, capturing the attention of the king and public. William Herschel put this sudden fame to good use, proposing to call the new planet Georgium Sidum, in honor of the ruling English King George III. 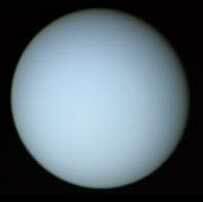 The standard of using names of ancient Greek gods or goddesses eventually dominated, and the planet was named ‘Uranus’. Even though his name didn’t last, George III was flattered. He visited the Herschels to view the newly discovered member of the solar system for himself, granted William and Caroline the titles (which came with a handsome annual bursary) "The King's Astronomer" and "Assistant to the King's Astronomer", and relocated the Herschels to Slough, which is near Windsor, allowing the royal family to star-gaze themselves, if inclined to do so. The Herschels quit their professional music career, instead dedicating the balance of their lives to full-time astronomy. At Slough, the Herschels began their life-long journey in astronomy, first building a large telescope. This became their favorite instrument, and was used in the rest of their work. Patient and gifted instrument builders, they cast and polished mirrors of outstanding quality. Utilizing these skills, they made a business of building and selling telescopes. Using their own telescope night after night, they never stopped to improve on its design. William eventually proposed a radical change to traditional Newtonian telescope design.